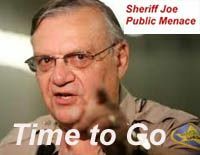 The Civil Rights Division of the Department of Justice has released its investigative report on Arizona Sheriff Joe Arpaio and the Maricopa Sheriff's Deaprtment. It finds serious civil rights violations. The full report is here.